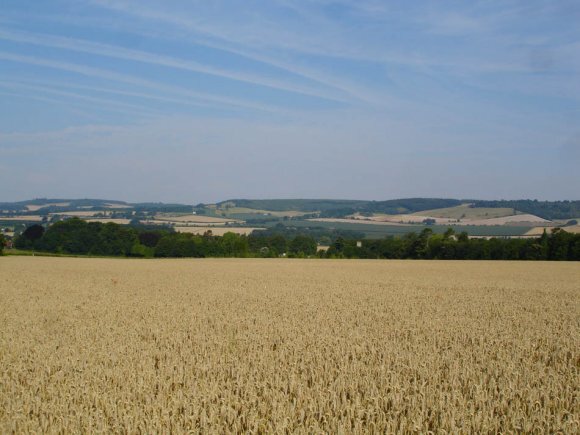 Image: Part of the 18ha proposed development site WYE3 / WY3 in the middle distance, viewed from the North Downs Way national trail. As a key part of its Core Strategy Review process, Ashford Borough Council (ABC) issued a Call for Sites in 2012. This gave the opportunity for landowners and developers to propose building plots for future development. ABC is analysing each of these sites for suitability. Luckley Field (land south of WYE2, which received planning permission for 25 units in 2015, since rejected by ABC as a potential development site). ABC has stressed that these sites are NOT being proposed by the Council. They have been submitted for consideration by landowners/agents for allocation in the Local Plan. ABC will publish its final selection in the Draft Local Plan.